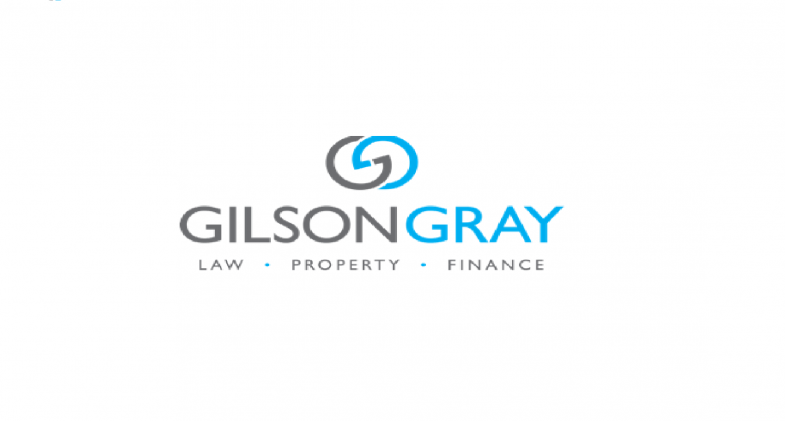 Team Challenge Company had the pleasure of supplying entertainment for Gilson Gray's Corporate Fun Day. Outside their impressive offices in Edinburgh city centre, a small but beautiful garden was the setting for our event. The weather was holding out, with the sun even poking her head out every now and again. So with all our attractions set and safe, the fun began! 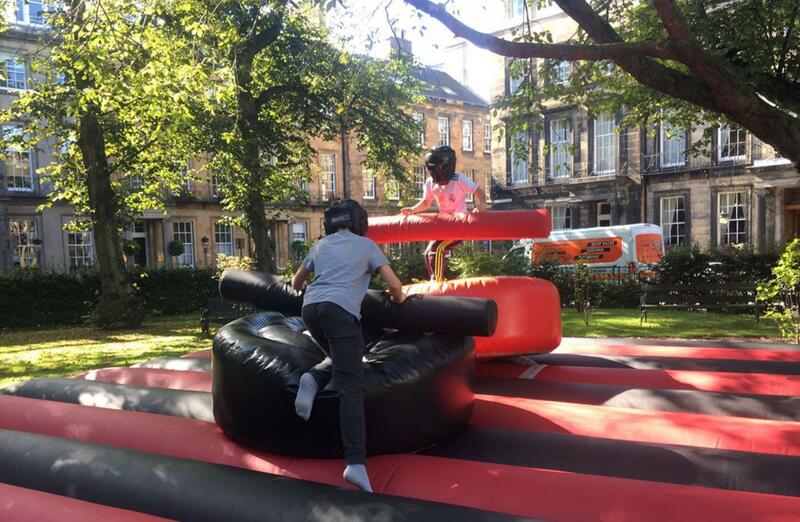 Our most popular attraction was the Gladiator Duel. 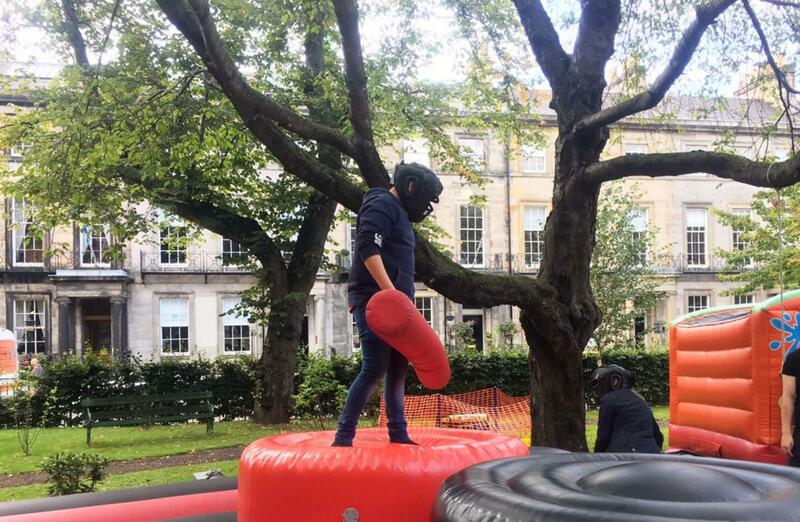 Much like in the game show, our competitors are fitted with safety gear and then try to knock each other off a platform with soft fighting sticks. The crowd definitely gathered when two of the Company's managers stepped up. 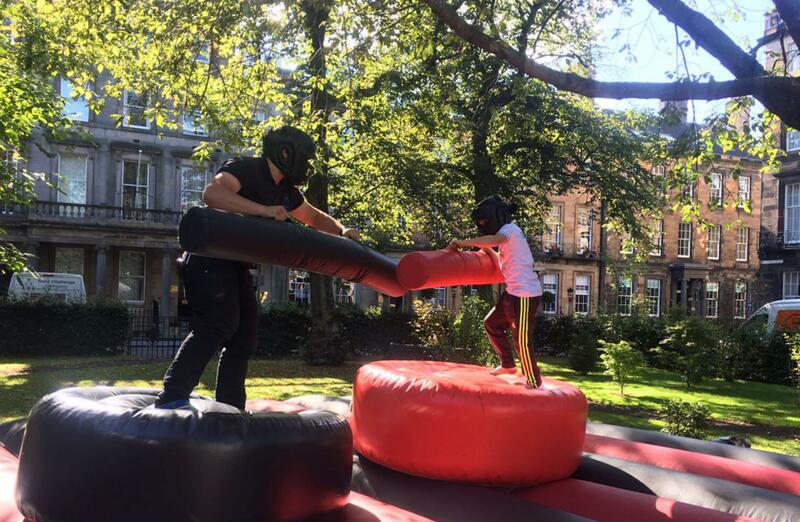 We aren't sure if this was to sort with some kind of corporate dispute, but this particular fight was brutal! 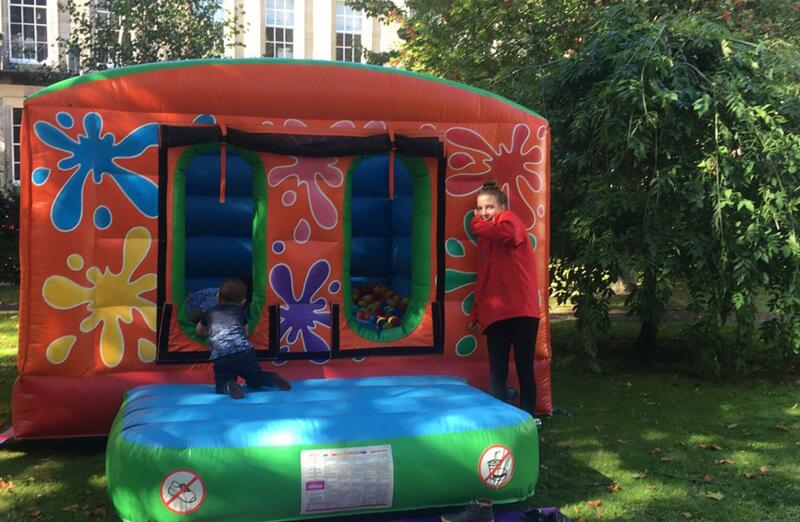 For our younger guests, we had provided a ball pool and a small soft play area. 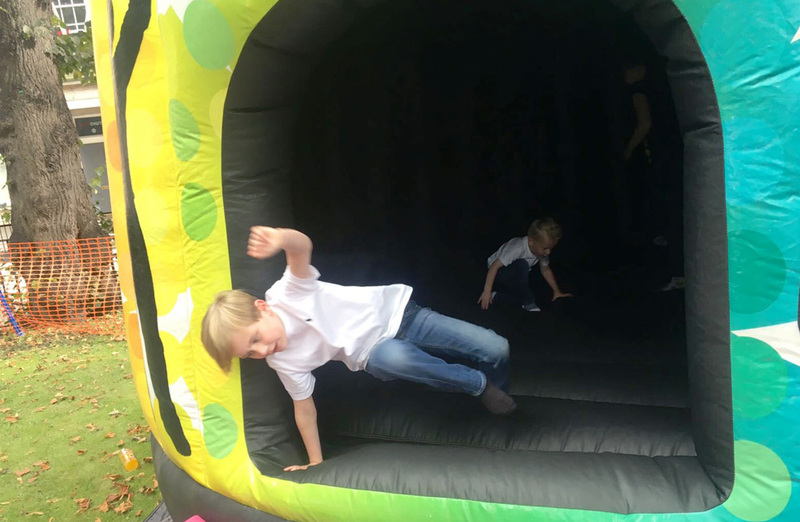 A few of our staff were present to oversee and make sure all the kids were having a great time, leaving their parents to have a well earned break! In addition, inside the marquee one of our team members was stationed doing face painting and glitter tattoos. Even though intended for the younger audience, after a few hours, guests of all ages could be spotted with a butterfly or tiger on their face! 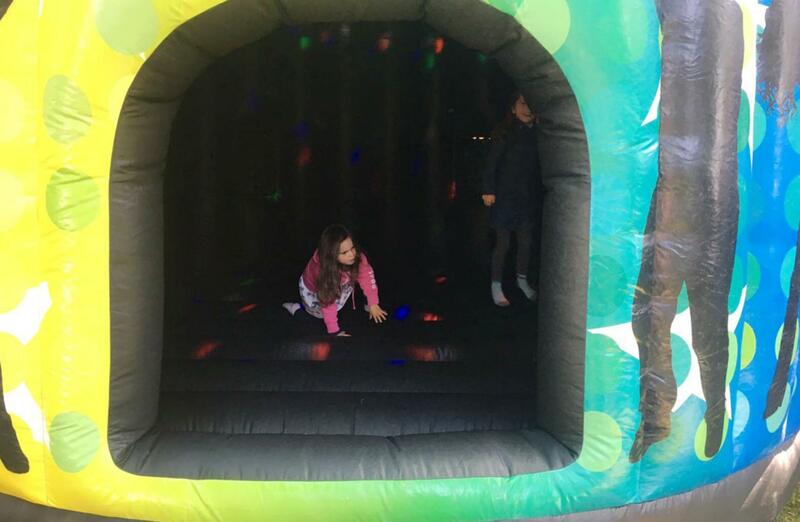 A huge hit with our guests was the Disco Dome - part bouncy castle, part club - kids and adults alike spent quite a bit of time inside the dome, dancing and bouncing around! One of our ladies commented that it was the best club she had ever been to! 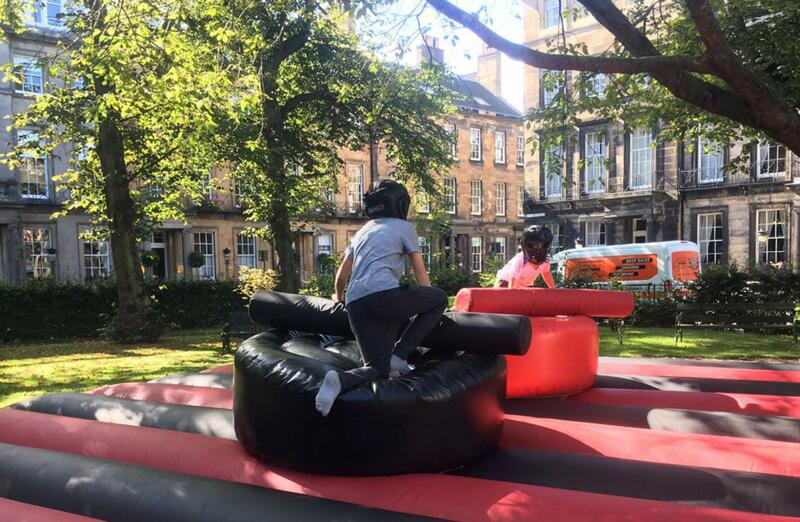 Great fun with Gilson Gray at their corporate fun day, even better when the weather holds out! We hope you all had a great time and that we will work with you all again soon!